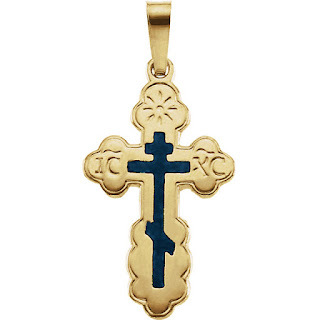 St. Andrew Cross or St. Olga Cross? 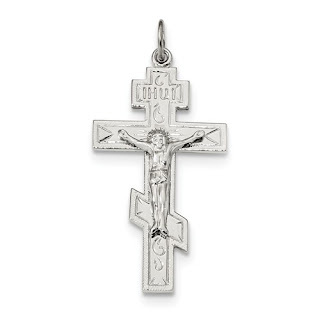 What is the difference between the St. Andrew Cross and the St. Olga Cross? 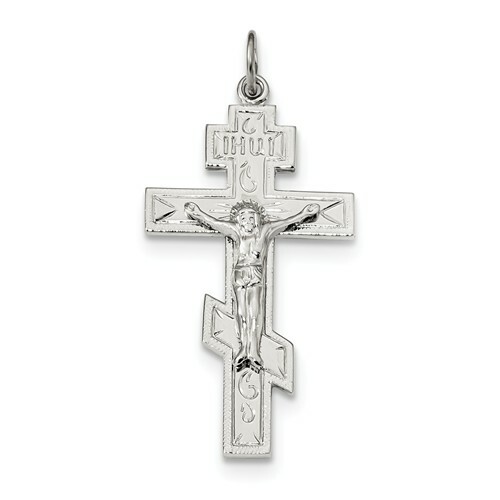 The St. Andrew Cross is the also called the Three-Bar Cross that is traditionally associated with Russian Orthodoxy. The name of the Cross is derived from the tradition about the Apostle Andrew who preached the Gospel around the Black Sea in the region that is now southern Russia and the Ukraine. When St. Andrew preached he carried with him a large Three-Bar Cross. The top bar represented the sign posted above Jesus head which read, "Jesus of Nazareth, King of the Jews." The middle bar was the bar to which Jesus arms were nailed. The third bar at the bottom was the place where Jesus rested His feet. In his preaching, St. Andrew would move the third bar so that one end pointed up and the other end pointed down. The end pointing up represented the thief, St. Dismas, who said to Jesus, "Lord, remember me in your Kingdom." The bar pointed up to indicate the destiny of St. Dismas in Paradise. The other end pointed down to represent the thief who cursed Christ. The bar pointed to his destiny in Hades below. 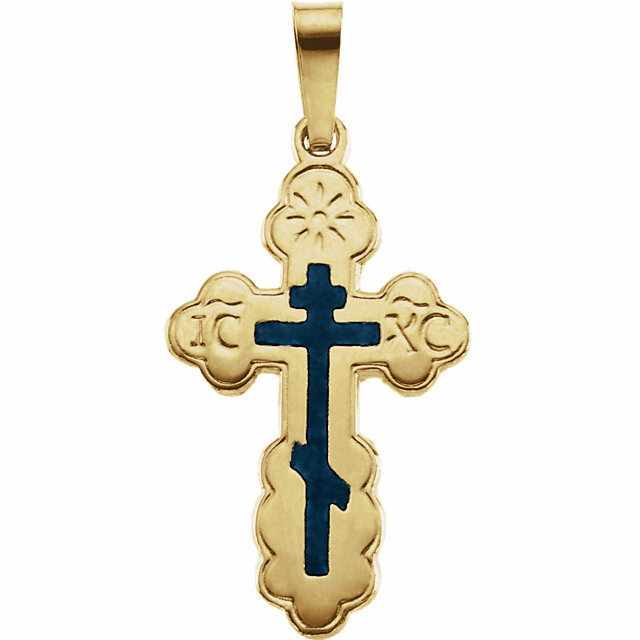 The St. Olga cross contains in the center the design of the St. Andrew Cross, but the ends of the Cross are budded with three buds representing the Holy Trinity. At the top of the St. Olga Cross is a light which represents the light of Christ. So to answer the question, the St. Andrew Cross is not a St. Olga Cross, but a St. Olga cross has the design of the St. Andrew Cross on the interior.